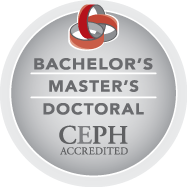 We offer several master’s and doctoral level programs to meet your graduate school needs. Please browse our page to learn about our different majors, requirements, and how to apply. We also encourage you to check out the other helpful links listed to learn about our campus and the Gainesville area. We are glad you are interested in our College and the University of Florida for your graduate education, and we hope you choose to become part of our graduate community. Dean Michael G. Perri and Executive Associate Dean Stephanie L. Hanson.